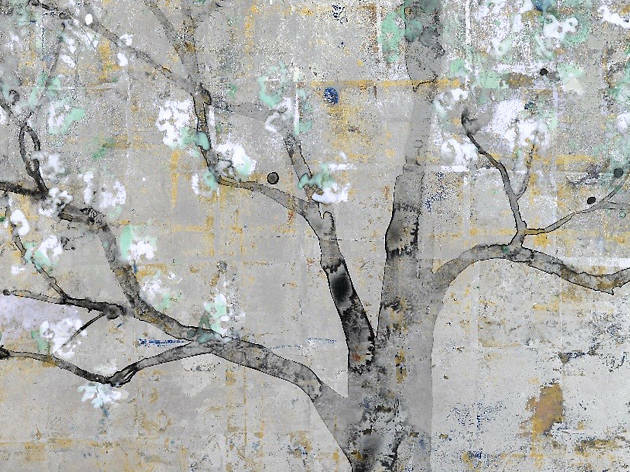 Fujimura’s art lies in their creation, spontaneous but the outcome of training and introspection. Using traditional Japanese art tools, (powder pigments produced from minerals, soils, corals, semi-precious stones, and some gold and silver leaf), he concentrates on his emotions and thoughts expressing “unmediated directness” on paper and canvas. 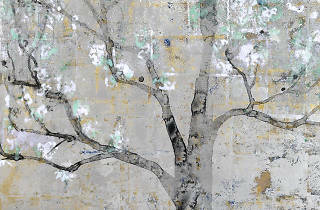 The results are abstract and innovative, characterizing western modernism and traditional Japanese painting. He also often adds gold inscriptions, usually Bible quotes, making him one of the leading contemporary artists to combine art and faith. Comparing the various ink stains and pigments dancing across the surface to musical sounds, he creates a unifying harmony, meant to symbolize the whole world. Ponder philosophical dilemmas and internal questions across Fujimura’s innovatively abstract paintings. There will be an artist talk in English on Feb 26th at 17:00.